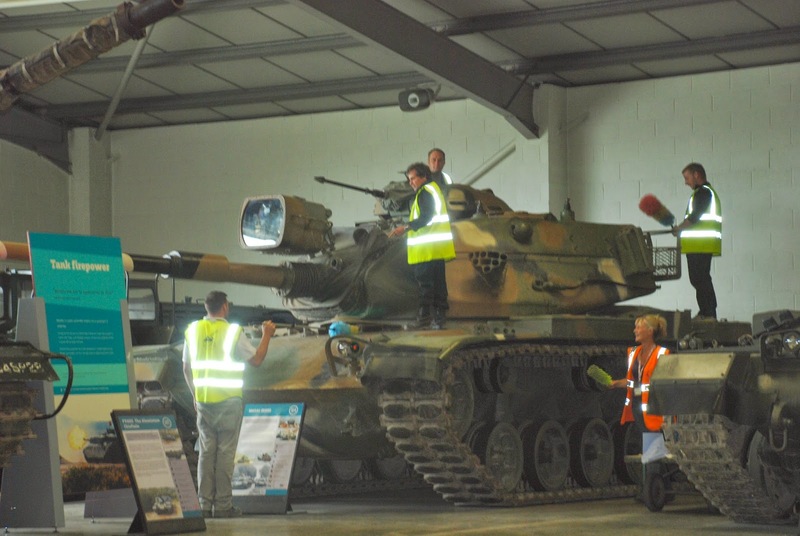 After a busy day mooching around at the Tank Museum, Bovington, Dorset it was a pleasure to put my feet up and watch this lot dust the tanks. Seriously this could catch on as a spectator sport. And it only added to my pleasure to observe how many of them were guys. I don't think I've ever seen any so many chaps doing the dusting. It was a sweet thing to watch.